On Thursday, Feb. 7., the UAS team of Corona, California's police department officially went into service. 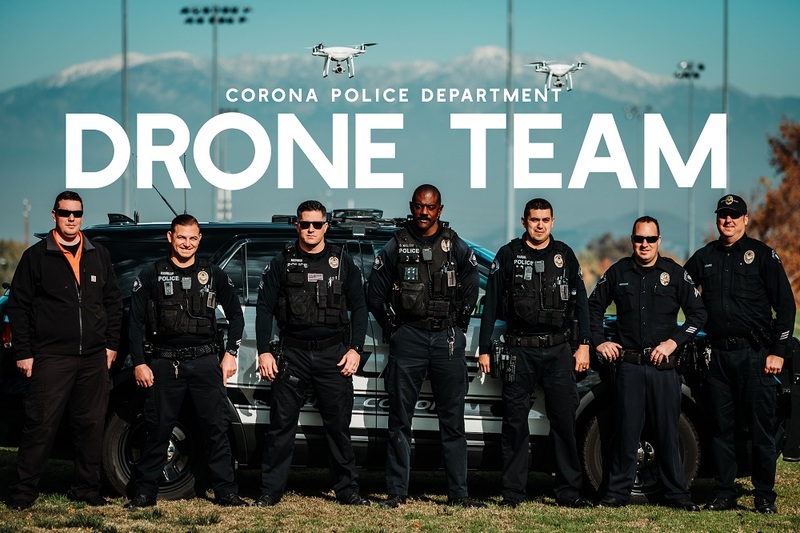 According to the Corona Police Department, the UAS team will be used to enhance the safety and service the department provides the community. Made up of seven FAA certified UAS pilots, the UAS team will support various traditional and non-traditional police activities, including but not limited to, search and rescue, supporting fire operations, and helping locate and apprehend fleeing criminals. “The UAS pilots were chosen from patrol and are highly trained in UAS technology,” says Sergeant Jason Morris. According to the department, the UAS team was activated after more than 56 hours of specialized pilot training and the development of a robust department policy that not only reflects the department’s commitment to respecting the privacy of the public, but also emphasizes safe operations.